May 10, 2016 - Vishay BC Components' 220 EDLC ENYCAP capacitors are now available through New Yorker Electronics. The award-winning ENYCAP™ Capacitors are electrical double-layer energy storage capacitors that combine the advantages of batteries and super-caps for energy backup applications. Developed for energy harvesting and power backup applications, the ENYCAP energy storage capacitors feature a rating of 2.7V and are available in a through-hole (radial) version with 1000h useful life at 85⁰C. Other applications include burst power support, energy-harvesting storage, micro UPS power sources and in energy recovery systems. Vishay BC Components 220 EDLC ENYCAP™ Capacitors, part of Vishay's 2016 Super 12 Featured Products, are polarized with high capacity and energy density. An ‘energy’ version intended for high stability is also available. 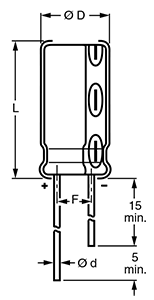 These capacitors can offer low profiles down to 2.5mm high with energy density of 13Ws/g. They have higher power density than a battery and higher energy density than typical dual-layer capacitors. This means faster charging and discharging times can be achieved versus those of a battery. The devices are available with up to six cells and capacitance values from 4F to 90F, with stacked through-hole, surface-mount flat and lay-flat configurations featuring pins, tabs and connectors. The capacitors do not require cell balancing and provide soft charging characteristics of less than 1A and a low leakage current after 24 hours (IL) of between 0.03mA to 0.24mA. The ENYCAP series fills a void in the energy/power spectrum between electric double-layer (EDL) capacitors and conventional batteries. EDLCs deliver a considerable amount of power in a short amount of time, while batteries store energy in an efficient way. 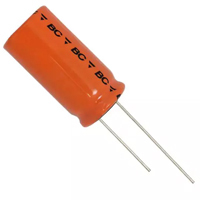 ENYCAP capacitors provide better energy density than supercapacitors and higher power density than batteries in applications where the ratio between these two parameters is important.